ATLANTA, May 3, 2018 /PRNewswire/ — Multiple EMMY® winning producer, social media influencer and entrepreneur Rushion McDonald, celebrates the 1-year anniversary this May of his hit radio talk show “Money Making Conversations” – joined by an all-star lineup of guests that continue to make an impact in the worlds of entertainment, business, digital sectors, sports, finance, and more. Sharing the tools of creating success through multiple streams of income, with illuminating wisdom of entrepreneurship, decades of experience in entertainment, and forging new paths in today’s multiplatform industries, “Money Making Conversations” is hosted and produced by Rushion McDonald through his multimedia production company 3815 Media. “Money Making Conversations” can be heard via iHeartRadio Podcast, Apple Music and other major podcast platforms that generate 250,000 listens/downloads per episode, on SiriusXM Channels 141 (H.U.R. Voices) and 142 (HBCU), and every Monday, 10 AM to 12 PM EDT on Biz1190 AM from Atlanta, GA, and live on the Money Making Conversations Facebook page. A convergence of creative exchange with vital insights on business tools and career longevity, Rushion interviews a range of entertainment entrepreneurs and executives. 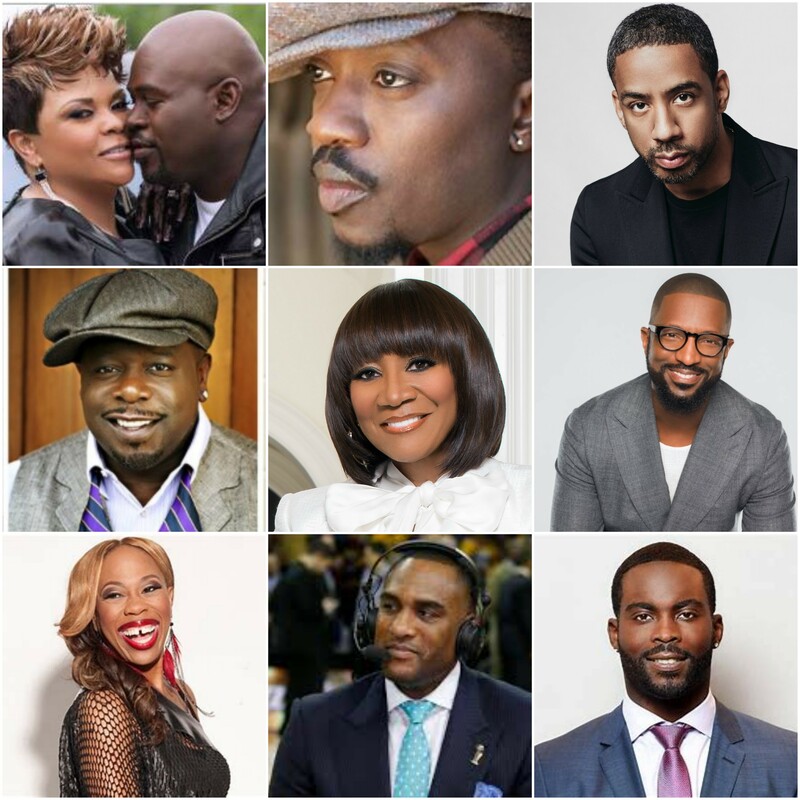 Guests* expected on “Money Making Conversations” for May include: Legendary entertainment icon, TV host, entrepreneur Patti LaBelle; comedian, actor, writer/producer and co-star of TBS’ “The Last O.G.”, Cedric The Entertainer; comedian, radio and TV host Rickey Smiley; basketball analyst/former NBA player Steve Smith; producers/filmmakers Codie Elaine Oliver and Tommy Oliver(OWN’s “Black Love”); platinum-selling artist, entrepreneur Anthony Hamilton; actor/comedian David Mann and GRAMMY®-winning artist/actress Tamela Mann; music maker and SuperPhone tech entrepreneur Ryan Leslie; NFL Players Association’s Director of Communications, Carl Francis; comedian and TV One’s “Sister Circle” co-host Kiana Dancie; syndicated TV producer and former Bounce TV executive Ri-Karlo Handy; Chick-fil-A franchise owner and author Zach Thomas; and football analyst/former NFL player Michael Vick. “Money Making Conversations” will round out May with a special replay on Memorial Day May 28th, featuring Oscar®-nominated producer, director, writer Reginald Hudlin; film producer Datari Turner; actress, TV personality, author, entrepreneur La La Anthony; and entertainer, actor, producer, entrepreneur Nick Cannon.